Few people outside of the legal cannabis industry would associate Israel with marijuana. But the tiny nation, slightly larger in square miles than New Jersey, is a surprising world leader when it comes to pioneering medical cannabis research and development. In the 1960s Israeli scientist Dr. Raphael Mechoulam, using confiscated Lebanese hashish he obtained from the police, was one of the first researchers to identify cannabidiol (CBD), one of the plant’s key compounds. And soon after he determined the structure of tetrahydrocannabinol (THC), the chemical compound that gives cannabis its intoxicating high. Using his research as a springboard, Mechoulam convinced the country’s Ministry of Health to establish a medical cannabis program. In 1992, the ministry approved medical marijuana and eventually established a formal medical marijuana program that is currently being used by around 25,000 Israeli patients. 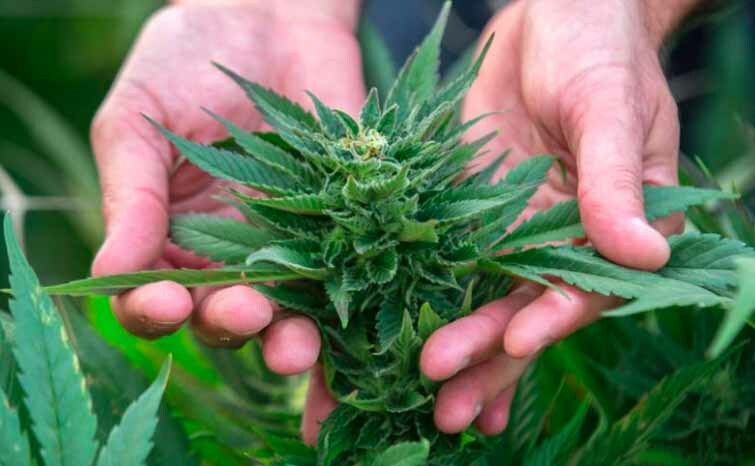 And while cannabis for non-medicinal use remains illegal in Israel, the nation’s liberal approach to cannabis studies has given it a substantial headstart over most countries when it comes to government approval for agricultural and clinical research. Late last month Dr. Adi Eran, head of the pediatric neurology department at Shaare Zedek Medical Center in Jerusalem, obtained government permits for the first-ever formal clinical trial of medicinal cannabis with autistic children and adults. Another example: Tikun Olam is one of the largest medical cannabis companies in Israel and has been operating under a license from the Israeli government for nearly a decade. The private company claims to have one of the most extensive medical cannabis patient databases in the world. It has also initiated several research programs, including an ongoing survey on how cannabis affects children with cancer — and what it describes as “the world’s first randomized, placebo-controlled, double-blinded study” of the effect of cannabis on patients with Crohn’s disease. There was one sign of change, however. In that same announcement, the DEA said it was reversing a decades-old policy and would make it easier for private companies and researchers to access new sources of marijuana — a move that some academics say could eventually lead to for-profit U.S. companies researching and producing their own cannabis and cannabinoid products. According to the National Institutes of Health, there are currently around 350 clinical trials underway in the U.S. regarding cannabis. However, many of those trials are focused on cannabis withdrawal or treatment of cannabis dependency, rather than looking at the plant’s medicinal qualities and potential as a medical treatment. For its part, the Food and Drug Administration says it recognizes and shares an interest in developing therapies from marijuana. Cannabis advocates say Israel’s approach to funding cannabis research, and allowing that research to take place with the least possible political and legal fuss, should serve as an example to lawmakers in Washington and elsewhere. “Unlike the U.S. government, the Israeli government has had few restrictions on doing research on cannabis, whether basic science or clinical studies,” said Dr. Alan Shackelford in a telephone interview with The Cannabist. He is a Harvard-trained physician and medical marijuana specialist based in Colorado. Frustrated by federal restrictions on cannabis research in the United States, Shackelford relocated to Israel in 2014 to continue his studies there. However, he has since returned to the U.S. to seek funding for additional studies and to write protocols for them. In June the Israeli government announced it would establish guidelines for national regulations on using cannabis for medicine and research. And in August the Health Ministry and Agriculture Ministry made a joint announcement — that current research efforts regarding cannabis will come under a new facility, the National Center for Research in Medical Cannabis, which is scheduled for completion in mid-2017. The center will come under the operation of the Agriculture Ministry’s Volcani Center, which has a global reputation for its agriculture studies. Nirit Bernstein is a senior research scientist at the Volcani Center, and her main area of research is environmental effects on plants. She has been studying cannabis for three years, especially how to optimize its cultivation practices, and said there is still “more unknown than known” about the plant’s biochemistry, physiology and medicinal impact. Funding for medical marijuana research is still scarce in both Israel and the United States. Israeli funding comes from the government as well as private and corporate sources, while U.S. funding is hard to find even in cannabis-friendly states. Colorado approved $9 million last year in medical marijuana research grants, while Washington state recently announced plans to sidestep federal regulations and create its own state marijuana research license. One Colorado researcher even used crowdfunding earlier this year, to raise enough cash for his relatively low-budget study on how cannabis use influences motor function in multiple sclerosis patients. These political and cultural obstacles have prompted some U.S. companies to use Israel as their R&D lab for cannabis products and technologies. Reuters recently quoted iCan CEO Saul Kaye saying that U.S. firms have invested around $50 million over the past two years towards licensing Israeli medical marijuana patents, as well as agro-tech start-ups and cannabis delivery products such as inhalers. And that figure is expected to grow to $100 million in the coming year, according to Kaye, whose firm focuses on cannabis research efforts. “The U.S. is currently the biggest market potential for our technology and, despite difficulties in regulation and in risk, the potential reward is huge,” said Eyal Barad, co-founder of Cannabics Pharmaceuticals, a Maryland-based company that conducts research on cannabis and cannabinoids at its Israeli subsidiary. This past March, Cannabics announced the start of clinical studies in Israel for cancer patients, using the company’s time-release capsules. Speaking to The Cannabist by phone from Israel, Barad said legal cannabis companies in the U.S. should view their Israeli counterparts as potential partners, rather than business rivals. Israel’s government, meanwhile, has upped the ante on its commitment to cannabis. It recently announced plans to export Israeli-grown medical marijuana within the next several years. And while that decision is still tentative, Bernstein of the Volcani Center said there’s a lot of interest among Israeli farmers regarding the possibility of exporting a high-cash agricultural product like cannabis.